The beach an incredibly fun place for you to go with your family. Not only will you have fun with your family in beach house rentals, but your health can benefit too. 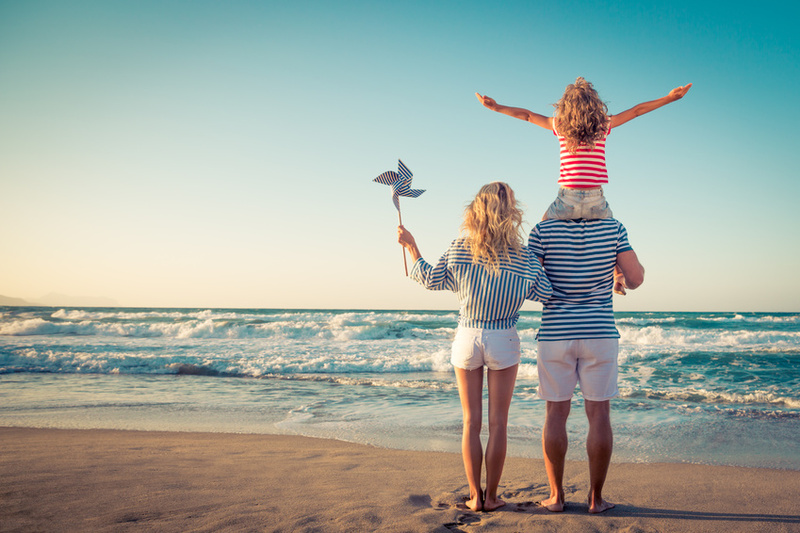 Here are just a few health benefits of taking a vacation and staying in beach vacation homes this summer. According to the Harvard Medical School, the most natural and substantial source of vitamin D depends on how much UVB light gets through you. The light reacts with a cholesterol-related compound in your body, and it then metabolizes into Vitamin D. This vitamin is essential for your bone health; it creates healthy skin and it can even improve your mental health. That's right, sand actually exfoliates your skin. There are somewhere between 3,000 and 7,000 nerve endings in each of your feet, and they all awaken when you walk across the tiny grains of sand. Wet sand acts as a natural exfoliant because it peels off the dead skin cell from your feet. This makes them feel much softer. Another benefit the beach has on your skin is that saltwater can act as an anti-aging agent. There are tons of anti-aging minerals in the ocean, and they can counteract the way your skin loses its elasticity over time. Saltwater cannot replace a facelift, but it can aid in the process of keeping your skin tighter for longer. So, step out of your beach house rentals and enjoy the saltwater. When you have an open wound or even an infection, the skin stings a lot when you go into saltwater. Fortunately, though, that's a sign that your wound is actually bring cleansed by the water. Saltwater has a unique antibacterial and antifungal properties that make it excellent for external infections. It can help fight internal infections as well. Additionally, the iodine found in ocean water helps boost the immune system because it helps boost the function of the thyroid gland. Those who experience arthritis or just general joint stiffness from aging, being in the water helps reduce that inflammation. This is because water has about ten times more resistance compared to the air, and it greatly reduces any impact on your body because it physically reduces the weight of a person submerged in water by about 90%. Technavio's analysts estimate that the global vacation rental market is going to grow at a CARG of 7.07% during the period of 2017 to 2021. If you want to enjoy these benefits, then check out our beach house rentals and start planning your next beach vacation today!